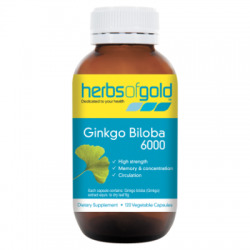 Herbs of Gold Ginkgo Biloba assists blood circulation and helps maintain circulation, helps maintain blood flow to the brain, thereby assisting in the maintenance of cognitive function, memory, focus and concentration, may assist in the relief of vertigo/dizziness and tinnitus (ringing in the ears), helps maintain the health of capillaries, acts as an antioxidant and free radical scavenger and helps in the maintenance or improvement of general well-being. 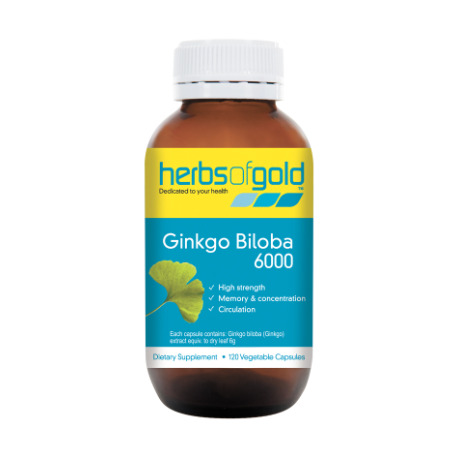 * Ginkgo Biloba 6000 contains Ginkgo biloba leaf equivalent to the clinically trialled dose and has been standardised to contain 24.5% flavonglycosides. * Assists peripheral circulation so helps relieve cold hands and feet and may assist pain-free walking capacity by maintaining circulation to the leg muscles, assisting peripheral circulation. * Helps maintain the health of capillaries. 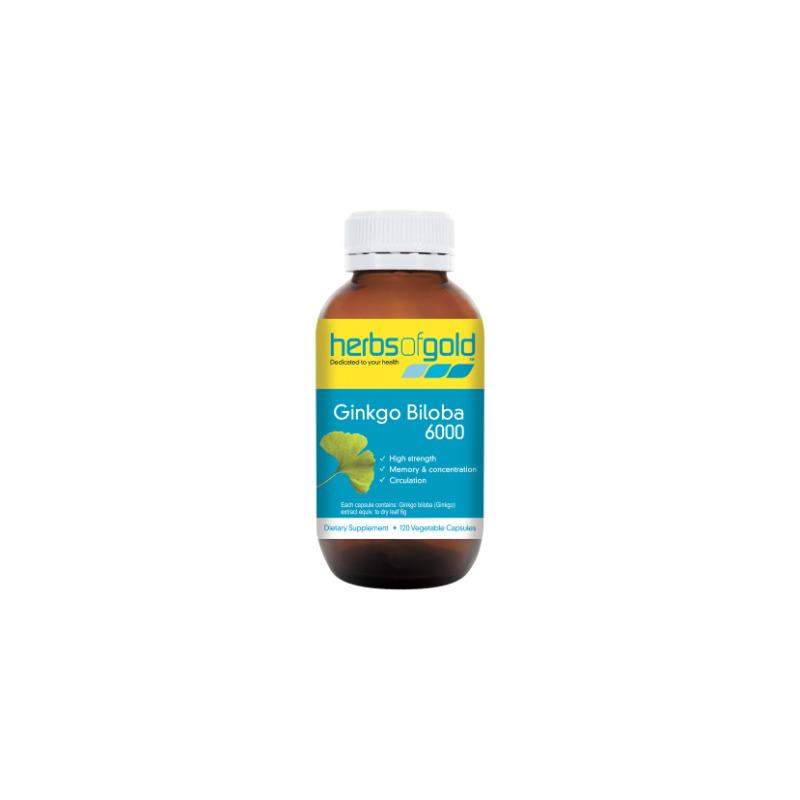 * Acts as an antioxidant and free radical scavenger and helps in the maintenance or improvement of general well-being.